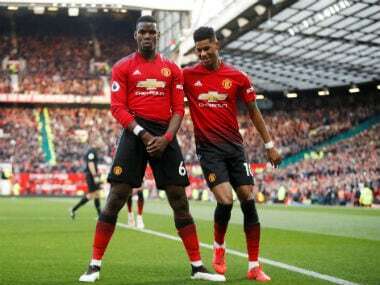 Manchester: Manchester United midfielder Paul Pogba declared his pride at being named the captain for Friday's Premier League opening 2-1 win over Leicester, but pointedly suggested he wants to be trusted more by manager Jose Mourinho. 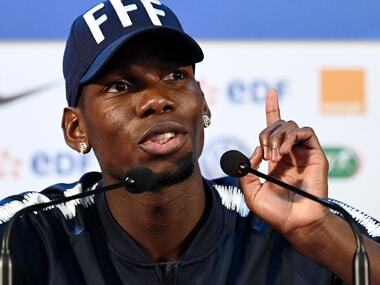 Mourinho surprisingly included Pogba straight into the starting line-up and handed him the armband even though the Frenchman had just returned to training on Monday after his exertions in lifting the World Cup less than a month ago. 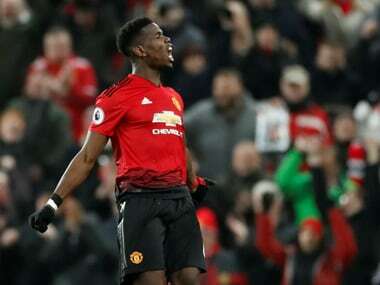 Pogba responded with what Mourinho described as a "monster" performance and took responsibility from the penalty spot to open the scoring after just three minutes of the season. 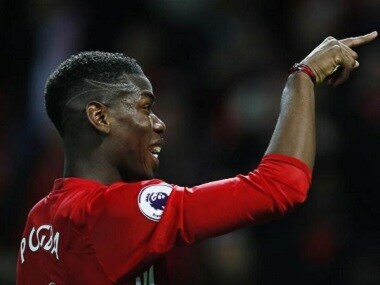 "Of course it makes me proud, it makes me happy to wear this (armband) at a big club like Manchester United," said Pogba. The man who cost United a then world record £89 million (105 million euros, $116 million) in 2016 was routinely dropped by Mourinho last season and had been linked with a move away from Old Trafford in recent days with Barcelona's interest reportedly piqued by his frosty relationship with the Portuguese coach. And Pogba seemed to call for more trust from Mourinho this season. "Like I always say, I always give my best for the fans, for my team-mates, for the people that trust me," the midfielder said. "Football is changing, and managers should be called head coaches," said Mourinho after beating Leicester, who he flagged as a side that should not be underestimated as they "invest more than us." Yet, despite Mourinho's earlier warning that United face a "difficult" season after failing to be back him in the transfer market, a winning start did brighten the mood around Old Trafford. "It's three points, it's what we wanted," said Pogba. "Of course the performance wasn't the best, but it's better to start like this and finish well than start very well and finish badly." "We know the players, and myself as well, didn't have a lot of training and we played a game. 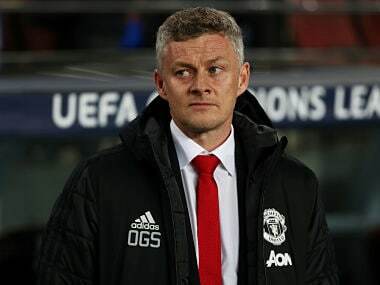 We knew we were not going to be fit, 100 per cent, but the most important was to start well the Premier League," he said.